Publication Information: Norilana Books. 2002. 320 pages. Book Source: I received this book through the LibraryThing Member Giveaway program free of cost in exchange for an honest review. The book was delivered via Smashwords. Favorite Quote: "All stories have a curious and even dangerous power. They are manifestations of truth - yours and mine. And truth is all at once the most wonderful yet terrifying thing in the world, which makes it nearly impossible to handle. It is such a great responsibility that it's best not to tell a story at all unless you know you can do it right. You must be very careful, without knowing it you can change the world." 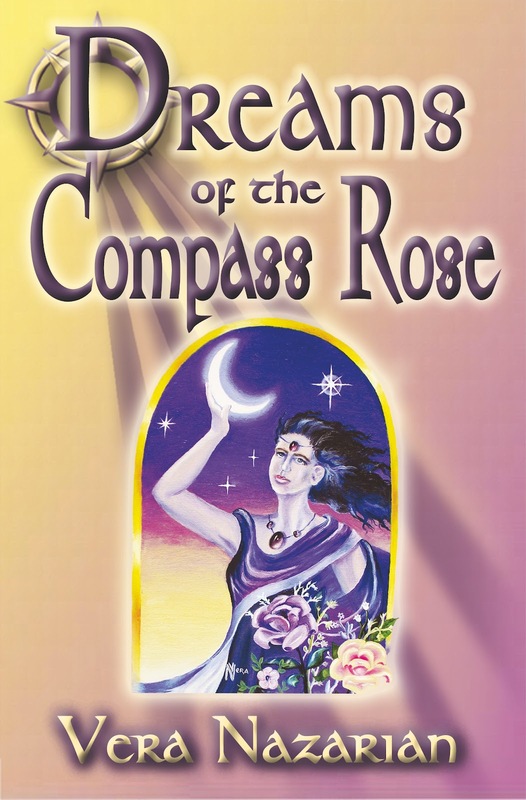 Dreams of the Compass Rose is a long collection of stories that creates a mythological world of the Compass Rose and surrounding terrains. It has gods and goddesses, humans, and those in between. The stories start off standing alone, but as the book moves along, the stories and the characters start to tie together. The cross references and links become stronger and clearer the further a reader goes into the book. The Compass Rose is a place, a thing, and an idea. It could be anywhere and everywhere. The stories are mystical, and each seems to feel like there is an unspoken message. Like most mythology, the stories, character, and places can be symbols for comparable things in our world. One theme that runs throughout is the idea of what is reality and what is an illusion. What will an individual choose - the illusion or the truth and how far will they go to live with that decision? The book starts off a little slow and a little confusing because the stories do appear to stand alone and unrelated. That dispels as the book progresses. The latter half of the book brings characters that grow and stories that draw the reader in further to this world. By the end, the book leaves you wishing for more. Just a format note - Reading the kindle edition, it was difficult to flip back and forth as the stories connected. A list of characters and perhaps a mythological map or a dynamic table of content (allowing you to progress to that story) would have added a lot to the enjoyment of the book.